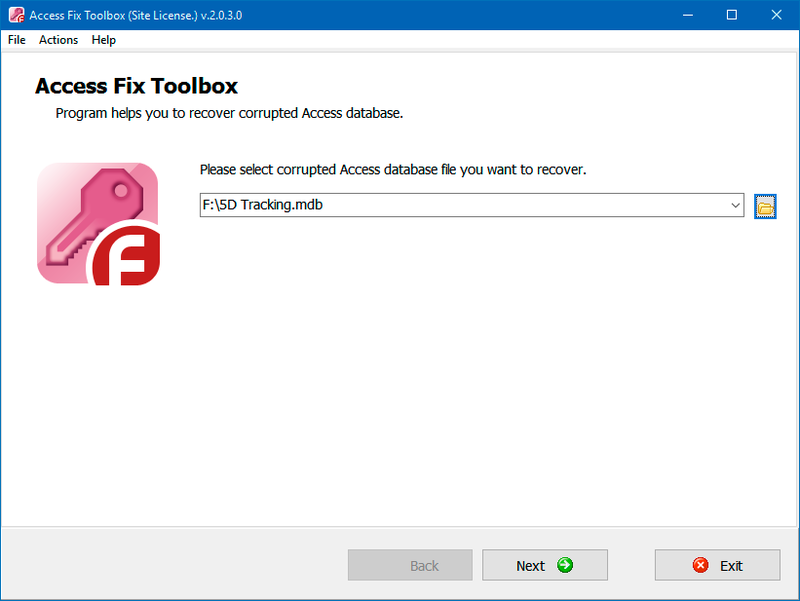 The Access Fix Toolbox utility is designed to recover damaged Microsoft Access databases. 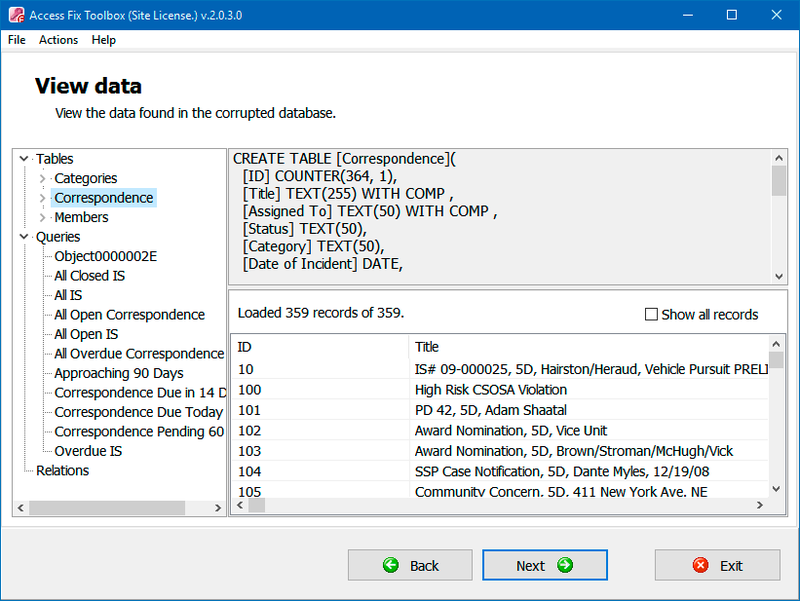 The Microsoft Office Access Fix Tool reads and analyzes damaged files (.mdb, .accdb) and saves recovered data directly into a new database. 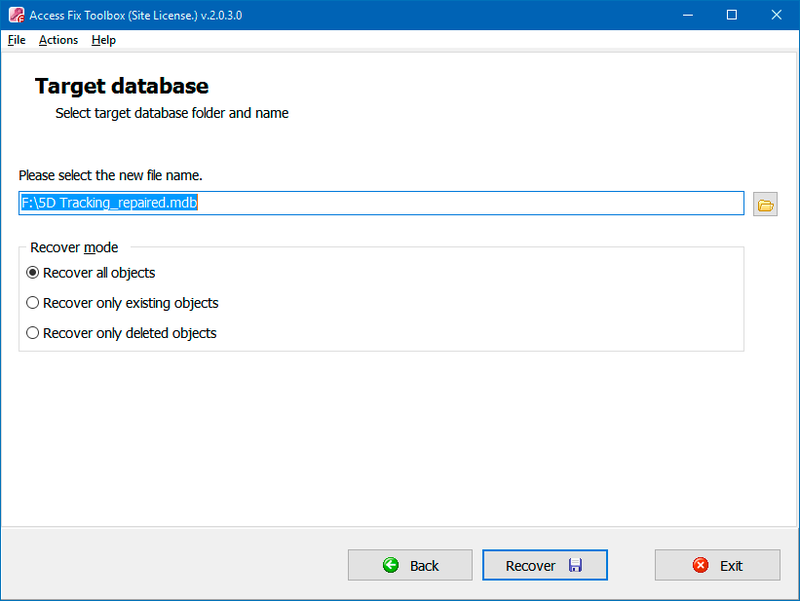 Simple step-by-step procedure to recover damaged Access databases. Recover databases of unlimited size. Recover tables along with data. View the structure of recovered data. Fix Access databases created with different versions of Microsoft Access. The Access database fix software has a clear and intuitive interface and requires only minimal intervention by the user. Note: The program is not licensed under GNU General Public License (GPL) or GNU Lesser General Public License (LGPL). Access Fix Toolbox is not open source software or a freeware tool. 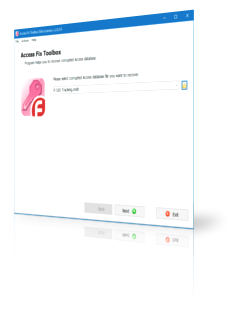 Access Fix Toolbox is distributed on the try-before-you-buy basis with a free DEMO version. Requirements: Microsoft Access must be installed on your computer to use the Access database error fix tool. Note: The Access file fixing program does not recover encrypted data, or reports, pages, modules, macros, links, and fields linking to other databases. Selecting a source file for further processing. Preview of the structure of the data extracted from the damaged database file. 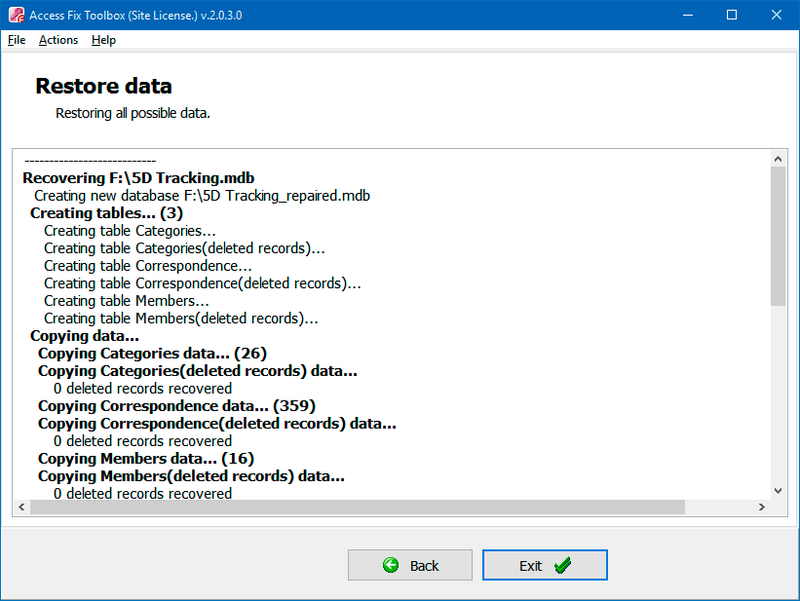 Selecting a file for saving the previously extracted data.